The ideal lesson plans for preschoolers for the theme of fall should include lots of nature walks and observations of the world around us. Use this time of year to explore the sounds, smells and appearance of nature as our world is world transforming and getting ready for winter. 1. Everything living has a cycle. 2. The world around us is changing. The trees, the animals. 3. Seasons change and so do we. 4. Harvest time brings us many gifts from the earth. 1. What are the changes we notice outside? 2. How do people, animals and plants change with the new season? 3. What are some of the outdoor activities we can do in the fall? 4. What can we prepare with the produce from the earth? 1. What will we see at the market? 2. Prepare a shopping list for the market. 3. What should we buy? 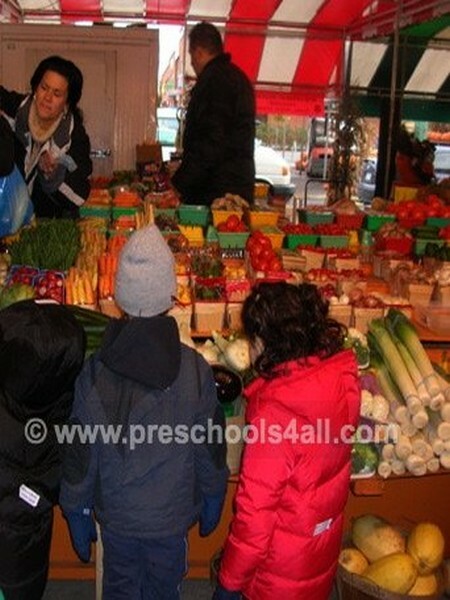 Prepare a vegetable soup with the products purchased at the market. 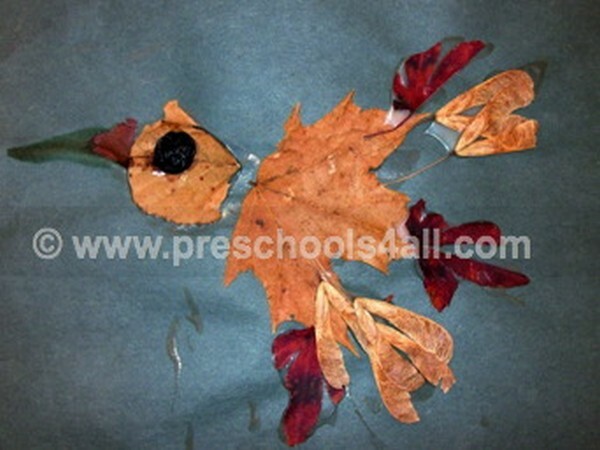 Take out fall colors and encourage the children to pain a fall scene. Paining while standing in front of an aisle helps develop gross motor activity in children. Dip the acorns in the paint and paint on the construction paper. A drawing of the child doing their favorite fall activity. Take a moment and record on the paper the child's story about the picture. A simple way to assess language development. 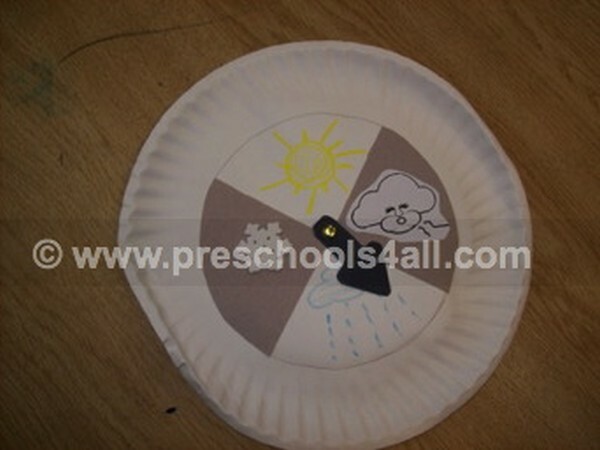 Great way to teach children weather vocabulary as well as time words such as yesterday, today and tomorrow. Earlier, now and later. 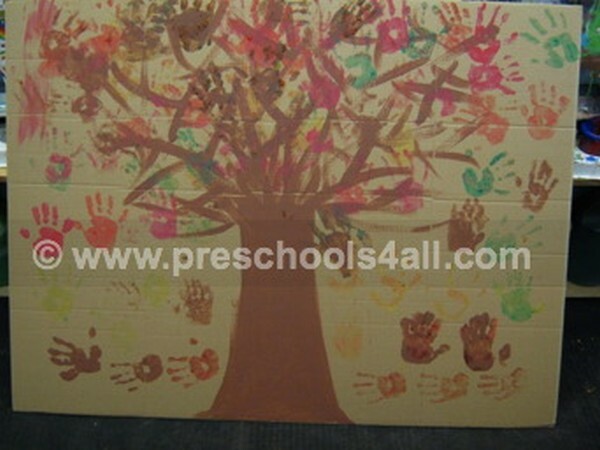 Trace the child's hand and let them turn it into a tree in the fall. A great way to capture those little hands. 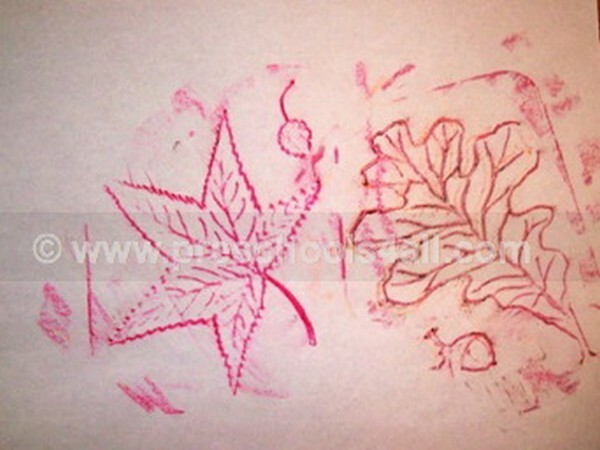 Place the leaves underneath the paper and rub with crayons or pastels over the paper. 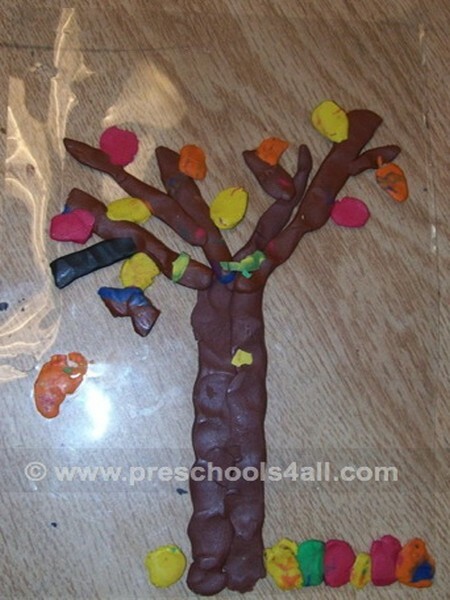 This activity is great for fine motor development. Glue the leaves you collected on your nature walk in a form that will create a bird, a person, a bunny and so on. Place the leaves on the sticky part of the mac-tac paper. 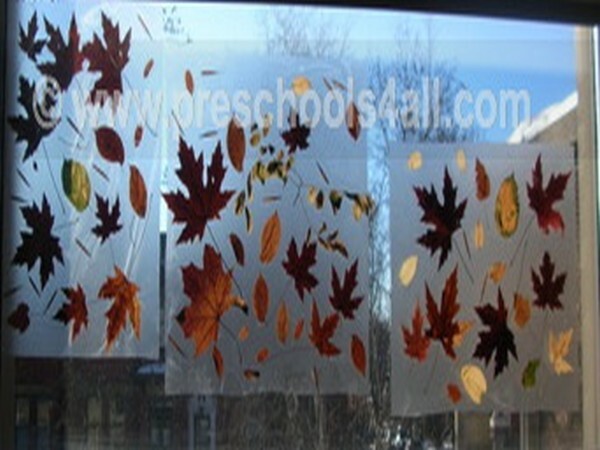 Cover it with another mac-tac paper for a mobile or place it directly on the window for window decoration.